This item is selling for $223.00 on eBay. 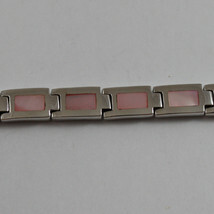 RHODIUM SILVER BRACELET WITH RECTANGLES OF MOTHER OF PEARL PINK. 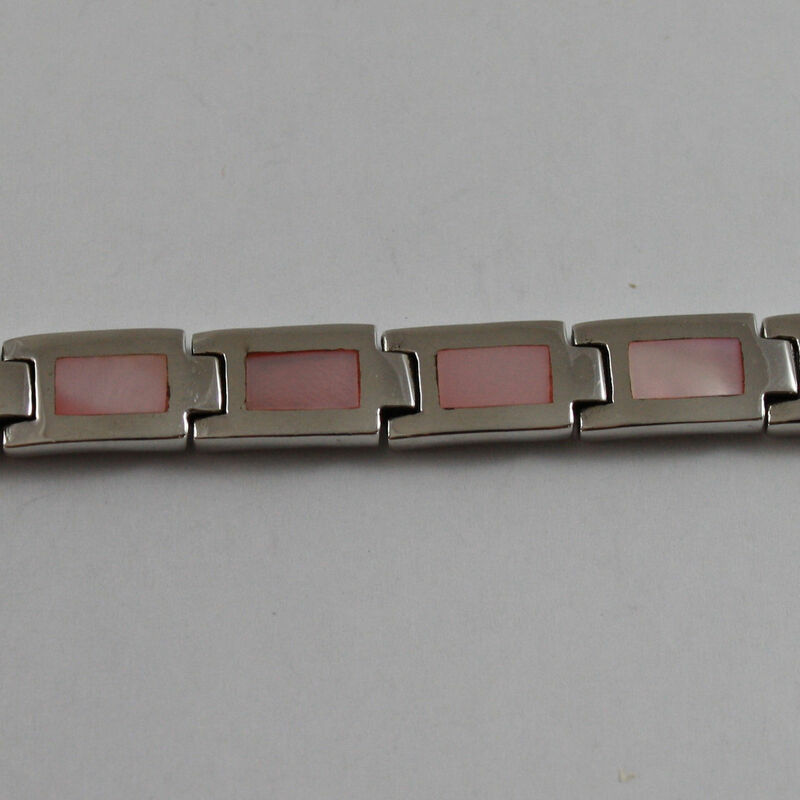 l bracelet made with .925 sterling silver. This item is located in Italy. 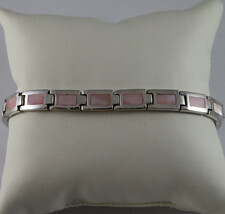 Shipping in USA and Rest of the World usually in 10-14 working days via international standard shipping. As an alternative we can use Fedex that delivery in 2-3 days worldwide. If you need another kind of shipping please contact us via, we'll try to find the best solution for your needs. is well accepted payment !